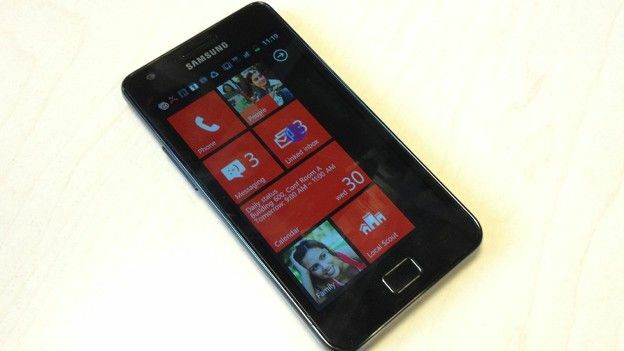 Galaxy S2 with Windows Phone 7? Microsoft have started to seriously work on promoting their minimalist but still relatively niche OS, WIndows Phone 7, by giving users who have either Android or iOS the chance to experience it right there on their own phone. By heading over to http://aka.ms/wpdemo on your smartphone it'll automatically start the demo which lets your browse through a virtual version of the Windows Phone 7.5 OS. It's certainly one of the most original advertising promotion campaigns we've seen and it certainly works by highlighting just how different each OS is however whether it'll truly work will be down to the future sales of Windows Phone 7 handsets. Microsoft and Nokia will certainly be patting themselves on the back or, if you're Nokia, breathing a sigh of relief after the successful launch of the Nokia Lumia 800, a phone which Nokia claims is the first 'true' Windows Phone 7 smartphone.